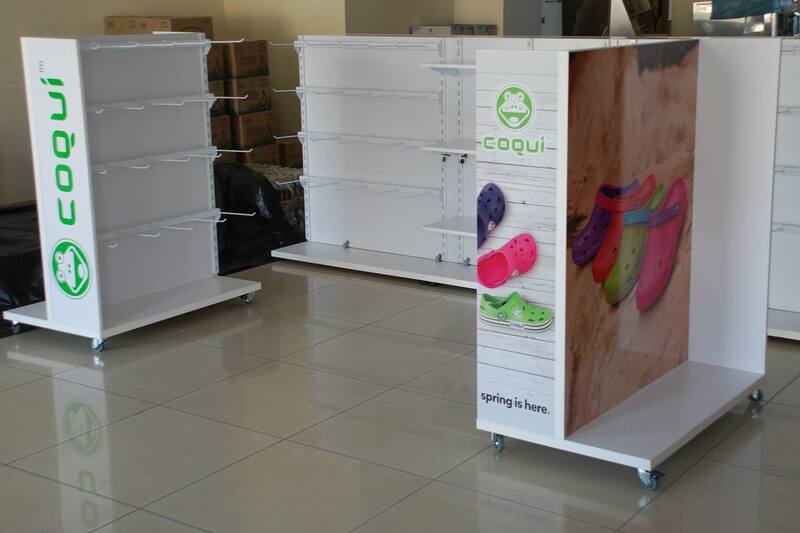 When designing the COQUI sales outlets, the customer set the tasks of fitting the department in 9m2, with the equipment to include a warehouse stock of the goods. 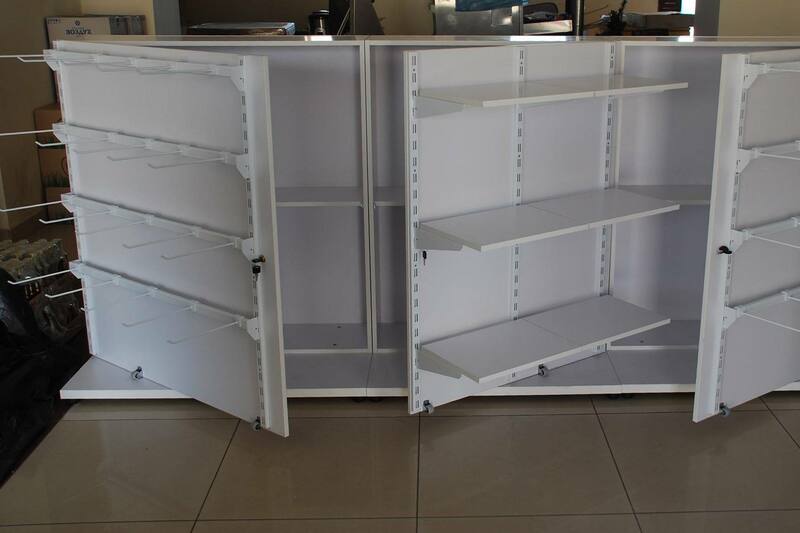 Part of the trading area rack structures was made with additional storage cabinets. Islets were installed on rollers for mobility. 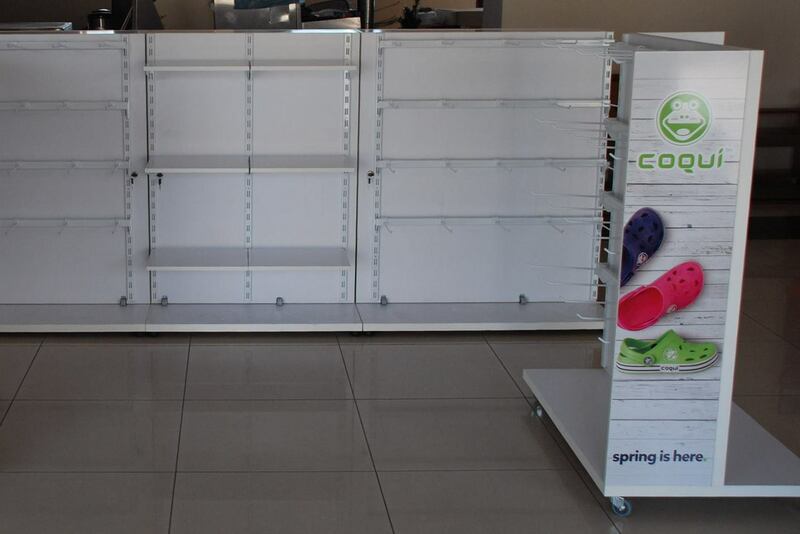 The material for the structures was a white-painted chipboard and metal profiles and accessories of the LINE series, painted white. 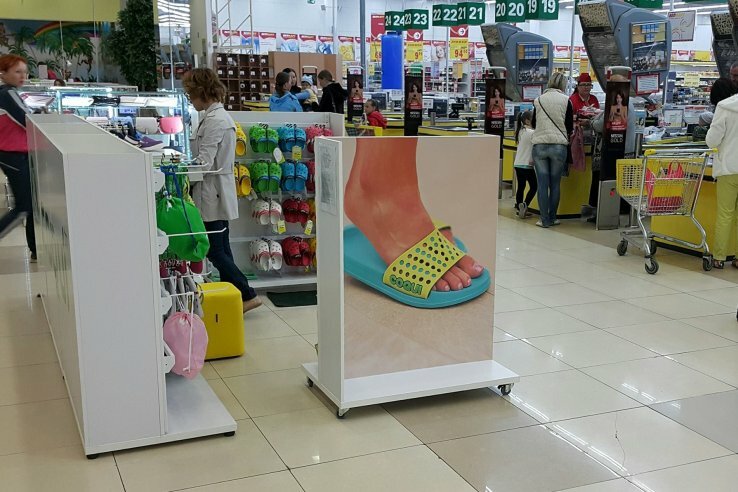 Thus, the equipment served as an excellent background for the company’s bright products and advertising photographs.